Cpl. Gerald D. Smart, son of Mr. and Mrs. Sherman Smart, attended Davidson High School; husband of the former Vergenia Ballard. Entered Army in April, 1941, trained in Ft. Leonard Wood, Mo. 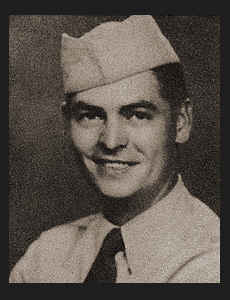 ; went overseas in Jan., 1942; served in Panama, Australia, New Guinea, Trobriands; was discharged in Aug., 1945. Awarded Asiatic Pacific Ribbon with three Battle Stars, Am. Defense Ribbon, Pres. Unit Citation with two Oak Leaf Clusters, Good Conduct Medal.